Hi all! It's Deasy here. I want to share my card featuring Sticky Notes. 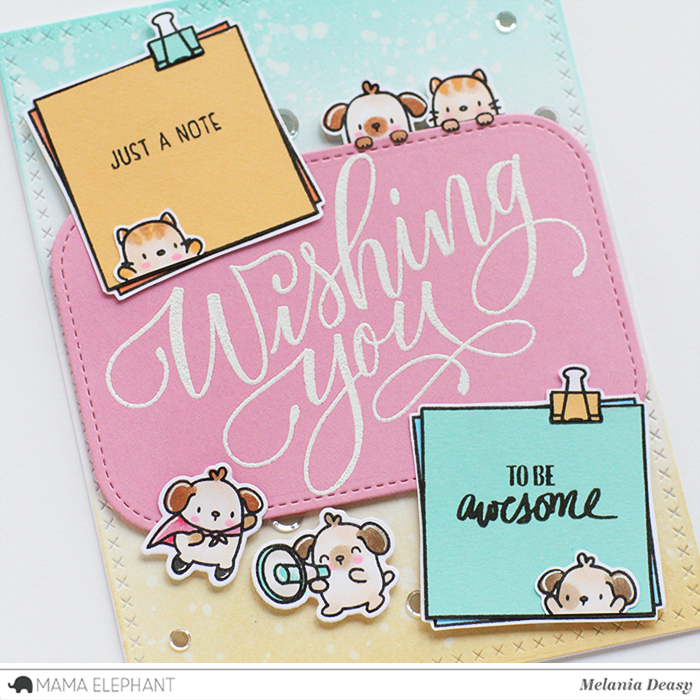 This stamp set is so cute and versatile, so I combine it with another stamps and dies to make a fun card. I stamp and color it using Copic. I color the background using Dye Ink with blending tool then splash water with my brush. 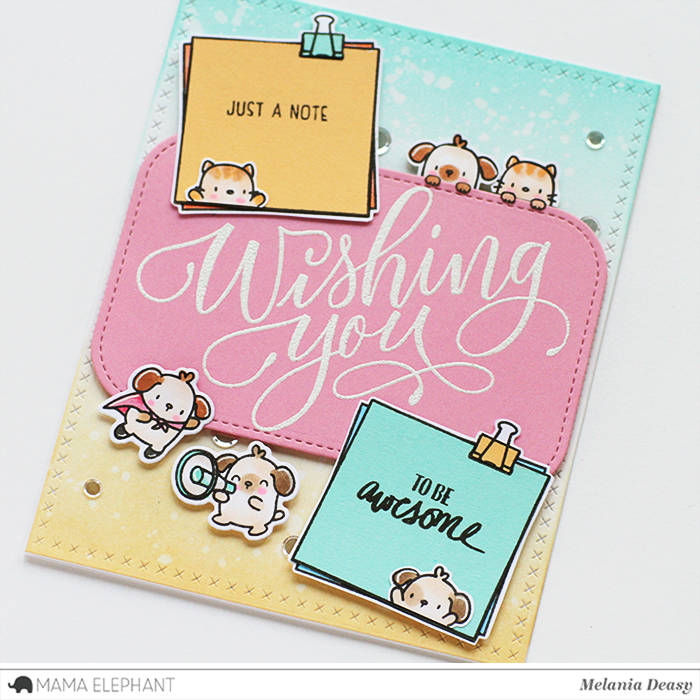 Cheerful card with lovely colors ! This is so CUTE!!! LOVE the whole design! Cute Cute critters. Darling card. I love the colors and the images.